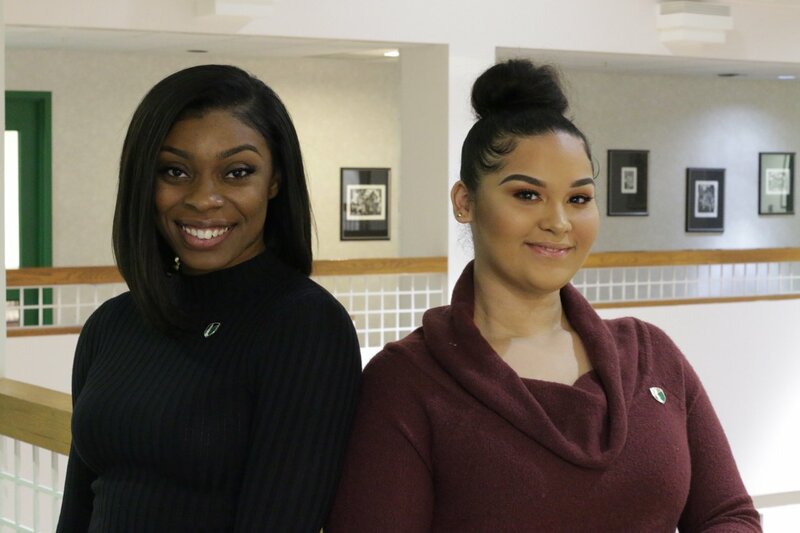 We want you to see yourself at Wilberforce University, and believe that a visit or intentional interaction with the University will help you decide. Sign up to join us for our 2019 Spring Preview and Admitted Student Day which will be held on March 30, from 10:00AM – 3:00PM (7:00PM Optional Stepshow). 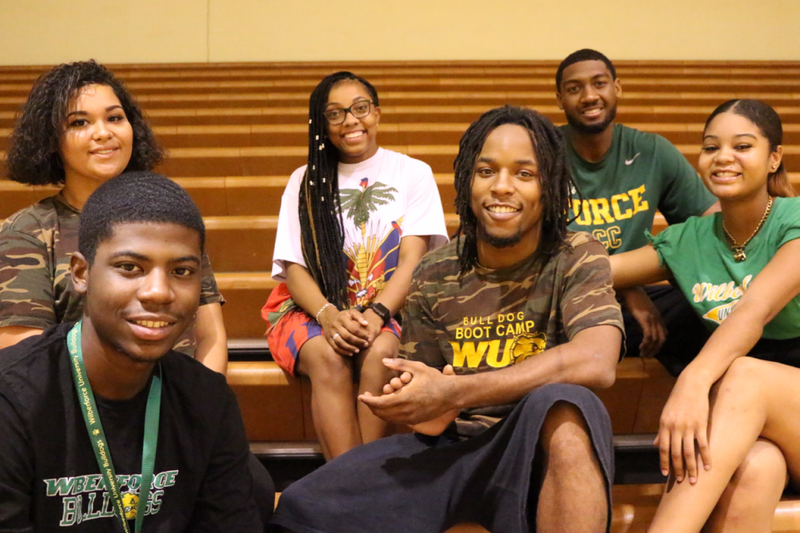 Prospective students can experience Wilberforce University through an on-site visit or when we bring the University to you during our Wilberforce University Renaissance Receptions for Future Wilberforceans. 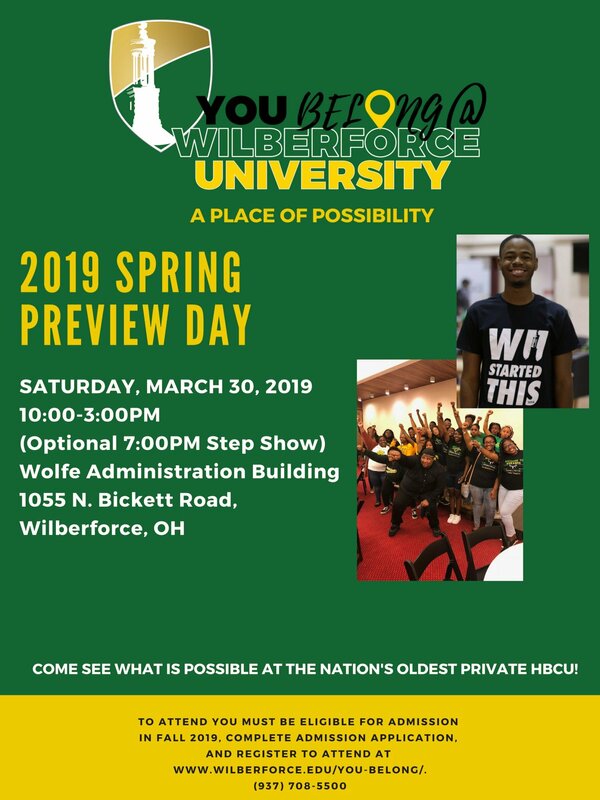 The Student Preview Days are One-Day events for Prospective Students (high school seniors and graduates), that provide an opportunity to explore why you belong at Wilberforce. We hope that you will join us at one of these events and learn more about the institution. You Belong @Wilberforce University! Focus: Join President Pinkard for a unique glimpse into the “Nation’s Oldest Private HBCU”! Focus: Learn tips for completing the financial aid process. Meet with financial aid counselors to gain guidance on accessing FAFSA and other forms of aid. Focus: Meet faculty and deans from academic departments to learn about your possibility at Wilberforce University. Visit designated locations to engage your future professor! 7:00 PM (Optional)– Complete the Day with your pass to the Step Show! Wilberforce University is located in Wilberforce, OH at 1055 N. Bickett Road, Wilberforce Ohio 45384. Please contact the Office of Admission, at 937-708-5500, if you need more information about hotels and local accommodations. Students who are under the age of 18 who plan on attending unaccompanied, parents/guardians must complete the You Belong Permission Slip and return to the Office of Admission via admission@wilberforce.edu. Please dress comfortably, and bring a coat. 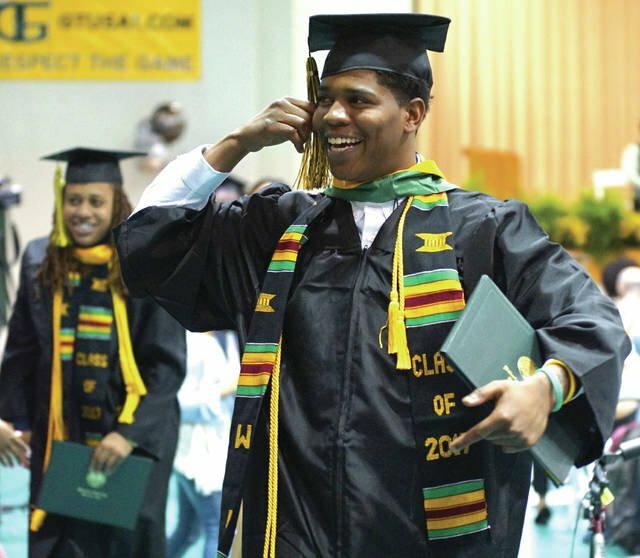 Ready to Apply to Wilberforce University?